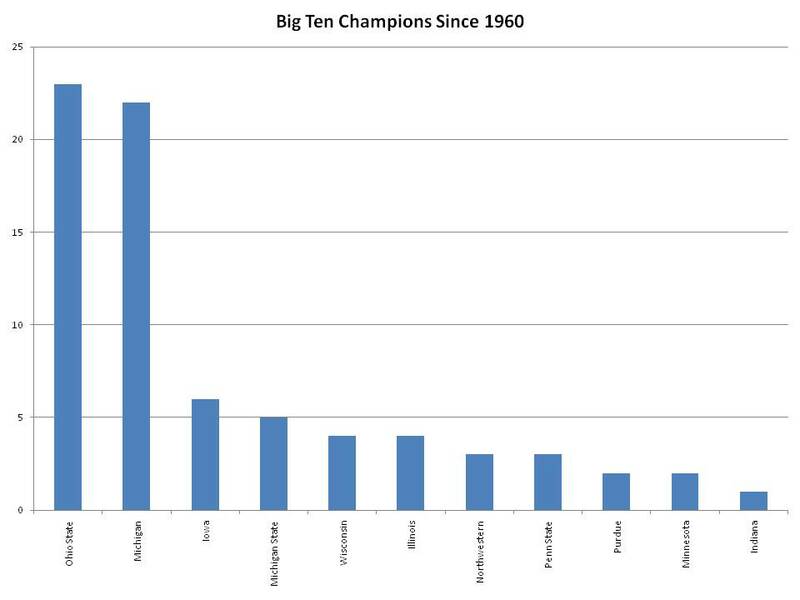 Ohio State and Michigan had a run from 1968 to 1982 where they won every Big Ten league title except two and both of those were co-champion years with OSU or M. So basically one of the two schools won every year for 14 years straight. 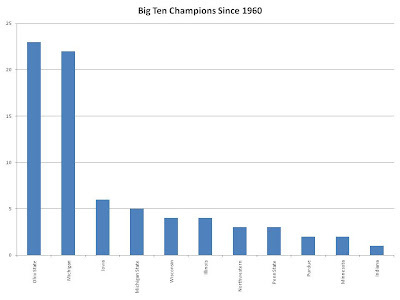 OSU and Michigan have won 60% of the league titles from 1960. Take it back to 1896 and the two have won 46% of them.